Founded in 1742 by Francois Renou, the Domaine today is owned and managed by his great-great-great-grandsons Herve and Pascal. Their vines lie just outside the village of Saint-Aubin de Luigne, in the heart of the Coteaux du Layon, and in the heart of central Loire Valley, recognized as a UNESCO World Heritage Site. Their vineyards lay in some of the finest parcels in the region, including Savennieres (dry whites of Chenin Blanc), Chaume (the region's only Premier Cru, sweet Chenin-derived wines) and the famed Grand Cru, Quarts de Chaume (also sweet whites). By the AOC regulations, both Chaume and Quarts de Chaume must be either passerille or else affected by Botrytis cinerea (noble rot). The Renou family practices sustainable agriculture with minimal intervention in vineyard or cellar. Every effort is made to allow the purity of the fruit to show through, expressing the nuances of their superb terroirs, and to avoid manipulative processes. 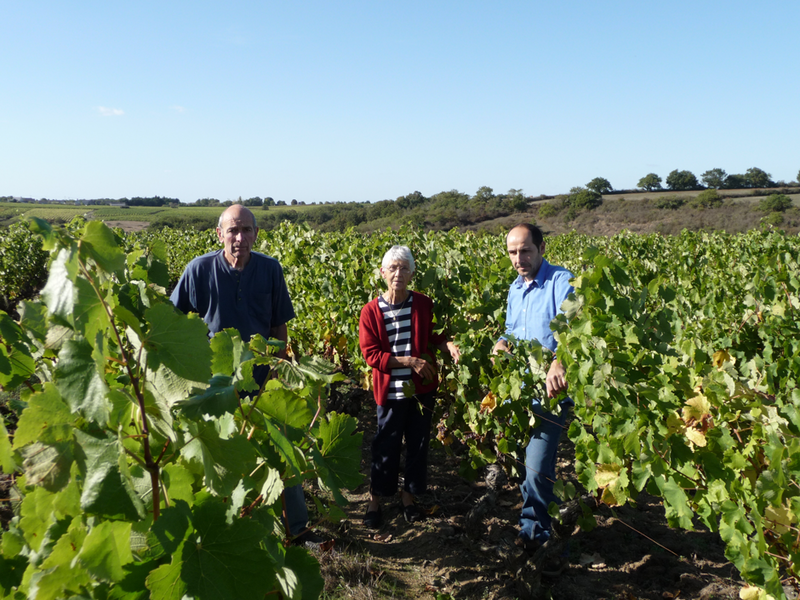 The Domaine is a member of terravitis, dedicated to eco-friendly and sustainable vineyard management. Vinification details vary from vintage to vintage, with great care to bring out the very best in that year's fruit.